κάτω υπό το μηδέν. Το κατακαλόκαιρο μπορεί να μην αισθάνεστε ωραία με την υψηλή υγρασία, τη χαμηλή παροχή κλιματισμού και τα πλήθη της υψηλής σεζόν που δημιουργούν ασφυκτικές συνθήκες, ακόμα κι αν οι θερμοκρασία είναι μόνο 27 C περίπου. Η άνοιξη έχει ανθισμένα λουλούδια και μυριάδες φεστιβάλ, καθιστώντας την την καλύτερη εποχή για επίσκεψη. Ο εύκρατος καιρός του φθινοπώρου και η έλλειψη τουριστών, το καθιστούν τη δεύτερη καλύτερη επιλογή. Kiev is know for its street art and murals. You can find it in every street corners. Ukrainians would like their street art scene to be known to the world. I was simply intrigued by this city. Wide clean avenues, well kept gold-domed churches, pleasant parks with statues and architecture like no other. The capital of Ukraine is a beautiful city, especially in May, when chestnut trees are blooming. There are lots of places of interest such as museums, parks, religious places, etc. 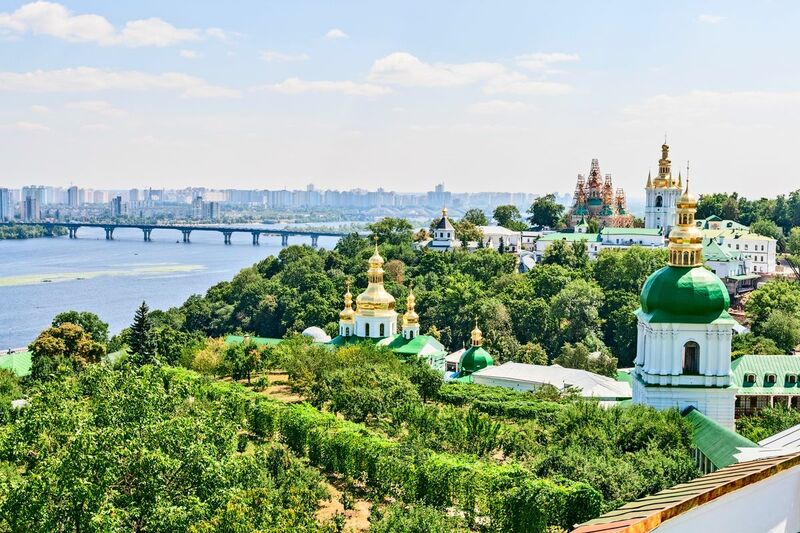 We mainly went to Kiev to be able to explore Chernobyl but were extremely surprised at the incredible options in Kiev itself. Great food and fun cafes everywhere. Fun walking town and the old funicular ride for about 10 cents is a must to get up and down the hill. But don't miss a day tour to Chernobyl! Wow! Lots of details about how it happened and how it could've wiped out Europe. Reasonably safe but YOU decide! We happened to be there on the day of a huge anniversary parade but it was peaceful . Quite cheap to do anything there. We even saw an opera for $10 in the best seats in an amazing opera house! I tagged along on a business trip with my boyfriend to Kiev in 2012. Kiev was not a top destination on my list of places to visit, but I really loved it. The architecture was beautiful and I couldn't get enough of the local food. Kiev is where it all began. The ancient Kievan Rus Empire, which existed before Ukraine and Russia, was based here. Besides the old churches and monasteries, it's really hard to get a sense of this history while in Kiev. The great city was devastated in 1240 by the Mongols and never fully recovered its past glory and importance. Situated on the hills of the right bank of the Dnepr River, Kiev's sights can be seen with 2-4 days of exploration. There are also several day trip opportunities. The heart of Kiev is the Maidan, sight of the bloody 2013-14 revolution. Much of the central city today is made up of monumental Stalinist architecture, put up after the Second World War. Besides the historical religious sites, Kiev is home to a number of museums, as well as a world-class opera and ballet. Don't leave the city without riding the superb metro system.